What that covers: school fees & running costs in 2018. Each year, a small group of runners and bikers take on one of the most difficult and iconic courses in the country, Hwy 1. In the form a relay, the full distance will be covered in two days time. Each individual pushes their body to their own limit, some running 80 miles. The race was founded by Shaun Sullivan, the founder of Ubaka U Rwanda in the US. The Central Coast has so many beautiful, unique things to offer. 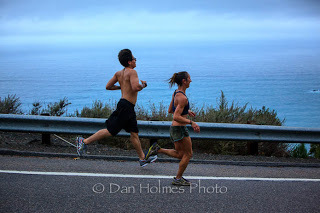 Many of us have had the pleasure of driving along the coastal Highway 1, and most would agree that running this stretch would be quite the challenge. This year's event will be one day only unfortunately. Big Sur and Highway 1 is still repairing the massive mudslides that occurred a while back. Therefore we opted to start from Ragged Point in the more southern area of Big Sur. Cayucos (our original ending point) is only 36 miles away so we chose downtown Baywood in Los Osos for our new finish which turns out to be nearly 50 miles. Downtown Baywood is a mellow and beautiful place to finish as well and we look forward to it. Also, the one day event with only 50 miles to cover will allow many of us to stay closer together and therefore enjoy our company even more. We can promise our efforts will do their best to earn the generosity of our donors. What is a "Rafiki Run"? In Swahili, "Rafiki" means "friend." On the second day, friends and supporters from all over will join the Hotshots crew in completing this challenge. No matter the distance any one person can achieve, the entire course will be completed as a team effort, each person driven by the collective friendship. During the 2011 fire season, Shaun spent a lot of time thinking about how to effectively fund raise money for his endeavors in Rwanda. He realized that folks who accomplish tough physical feats often portray to people their passion for a cause, thus raising more money. He decided to walk from San Luis Obispo to San Francisco in a weeks time. Claire and Ben made rash and not-thought-out decisions to join Shaun on the journey. The walk was more challenging than they could have expected, but they did the entire thing as they had promised. The walk raised more money than Shaun had ever raised before amounting to over $6,000. The next fire season, many people showed interest in participating in something again for the cause. 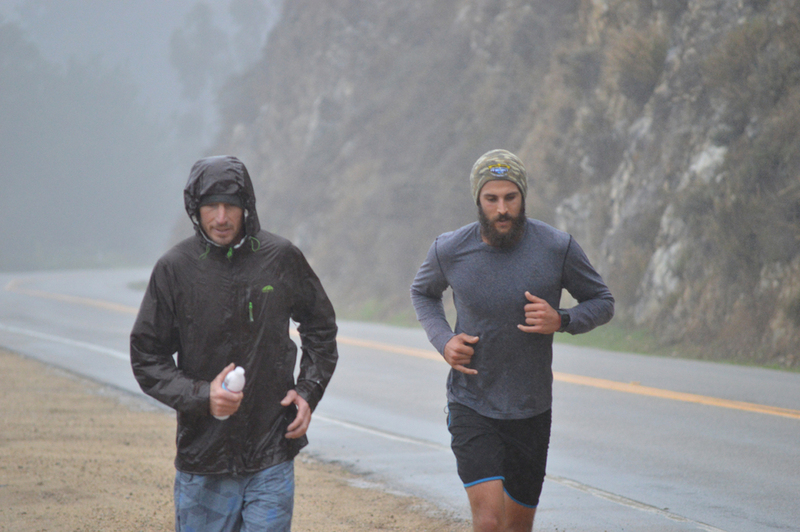 Therefore, in 2012 Shaun and over 25 others completed a running relay from San Luis Obispo to San Francisco. Some ran half marathons, full marathons, or even multiple marathons. The event was challenged by thunderstorms, flooding, road closures, and even loose charging dogs, but everyone accomplished what they had promised. Over $11,000 was raised, and a matching donor added another $10,000 which brought the total to $21,000. More motivated than ever; Shaun, previous year's participants, and more friends and co workers will be running and biking each year. 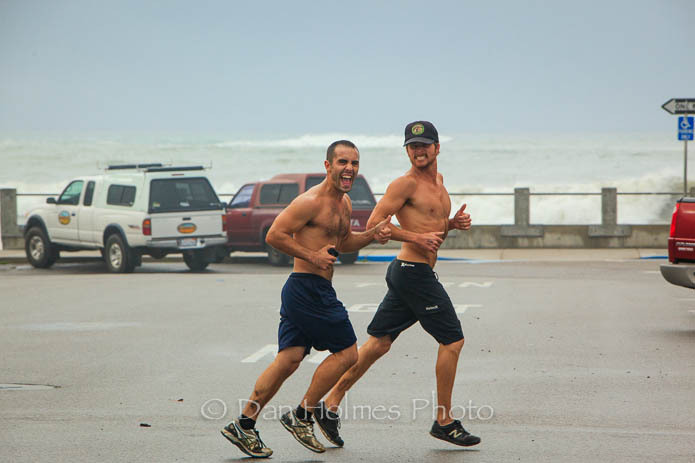 They begin in Half Moon Bay and finish at Morro Rock, covering an estimated 220 miles in two days. People will be challenging themselves again with 100+ mile bike rides, 80 mile runs, full and half marathons, along with other activities. Run the 1 is a very grassroots event with very humble beginnings. Their idea is to communicate their passion for the street children of Rwanda, enjoy the place they live with those closest to them, and to accomplish those things with as few words as possible. Let action speak the loudest.